The Emperor’s Hand. 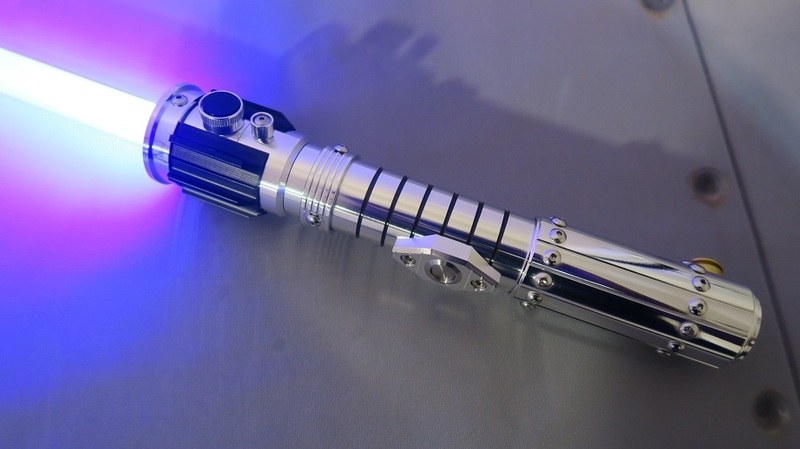 Image from Ultrasabers. If you’re on the Ultrasabers mailing list, you undoubtedly saw this. 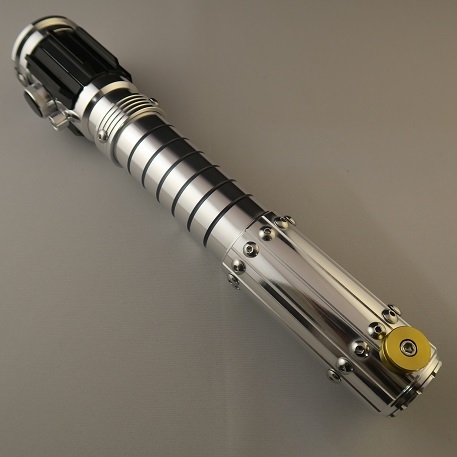 If not, you may not be aware that the company just unveiled the new Emperor’s Hand hilt and in short, it looks great. Inspired by the saber used by Mara Jade in what is now Legends material, the Emperor’s Hand joins other recent additions like the Windu-inspired Electrum Wind and the Ahsoka Tano-esque Fulcrum and Lost Gray. Of the new hilts though, the Emperor’s Hand looks like the best as far as faithfulness to the source material, but that’s just my opinion. As far as vital stats are concerned, the Emperor’s Hand is 11.5″ long and 1.5″ wide. At first blush, it appears to be far more reasonably sized than other new hilts from Ultrasabers, which generally have been far too large in comparison to the “original” pieces or scale. The high polish finish looks great and dare I say, the hilt itself looks as good or better than Saberforge’s take on the Mara Jade saber, the Jade Fire. Emperor’s Hand empties begin at $139, so they’re fairly well priced. There’s certainly a good chance that I’ll use one as a project base at some point in the future.